Beef and Sirloin There are 24 products to choose from. 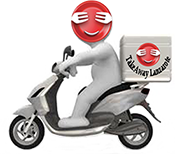 Takeaway Lanzarote - Restaurants Playa Blanca Chinese Cuisine - Playa Blanca, LanzaroteAsia - Fusion Cuisine. Takeaway Lanzarote - Restaurants Playa Blanca Beef with bamboo shoots and Chinese Mushrooms Chinese Cuisine - Playa Blanca, LanzaroteAsia - Fusion Cuisine.